Revive Bath & Body: Finally the weekend! Ahhh, time to breathe! Kennesaw State only has classes Monday through Thursday so it's weekend time for me! However, ready for a recap of this week?! The family diet is going good - lost 6 pounds already! Whoooooop there it is! But besides that, my friends and I decided it would be a good idea to take advantage of the gym on campus, so we all went to a kick boxing class. Can you say ouch?! I don't think my arms have ever hurt this bad! Besides the fact my whole body felt like a noodle after the class was over, it was a great workout! If you are like me and hate to just "run", kick boxing would be a great alternative. You are constantly moving, punching, and kicking things...great way to relieve stress and workout at the same time. Then the next day (remember now, soreness always kicks in about half way through the night), my fitness teacher decides that we need to go for a mile run. No big deal or anything, but my legs kinda already felt like Jello. But sure, I'd love to run another mile! After we ran, my body was on shutdown mode. I'm not even sure how my legs managed to work the gas pedals in my car! My friend Jade and I were walking to our cars in the parking deck; we tried the stairs, but our legs seriously could not make it up them. So yes, we did ride in the elevator to go up one flight of stairs. That's how sore we were. So what was I to do about this soreness? Well, nothing is better then coming home and getting to take a nice, hot, relaxing bath! But this was no normal bath :) I used some Lemon Lime Bath Dust Salt Soak. 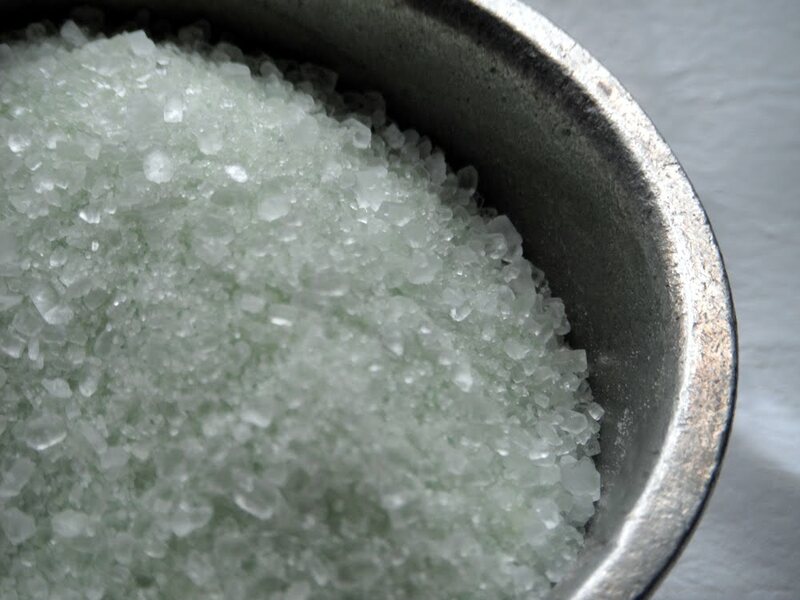 Let me tell ya, never underestimate the power of Epsom salts! I'm not exactly sure how this happened, but all of my professors decided they would have tests next week. I literally have a test in every class either Monday or Tuesday. Can you say STRESS?! I'll be taking my first college exam, but I'll have to take all five of them! What to do, what to do. I am going up on Saturday to see Ben! Ben has been red-shirted this year since he is a freshman. So even though the team has an away game this weekend, he is staying at school; but it works out for me cause I get to go up and visit him! Next weekend, Shorter will have their first home game. 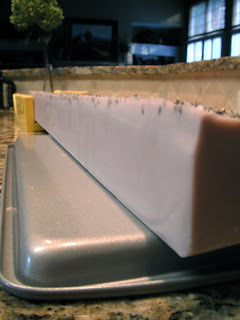 My dad got my soap molds finished, so of course I made some soap! 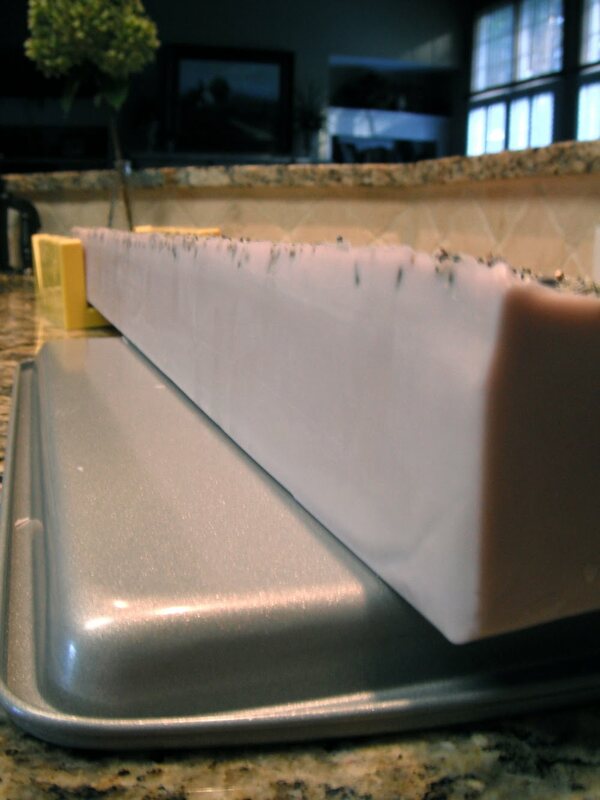 I made my first 6 pound batch of soap, and wow, thats a lotttt of soap. Finally, I have reached the five sales mark in my Etsy shop! Yep, last night someone purchased the Rosewood Oatmeal Bath Powder. Yummy stuff right there! Keep those sales coming in. My next show is officially in one month! Well, I'm off the the store to buy some more Sweet Almond oil and Castor oil for soap making!